With an endless list of premium amenities, the Roadmaster Elite is the ultimate touring machine made for the long road. It's built for those with the highest standards, by those who share them. PREMIUM 600-WATT AUDIO SYSTEM: The PowerBand™ Plus audio system delivers premium sound from high-output fairing, trunk, and saddlebag speakers. 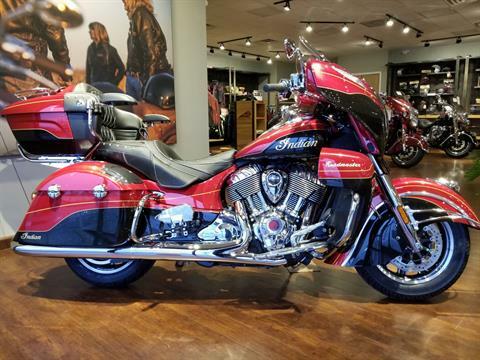 MADE FOR THE FEW: Only 200 of these Roadmaster Elites will be made for a truly a one-of-a-kind riding experience. TWO-TONE MASTERPIECE: Every Roadmaster Elite features a brilliant two-tone candy paint with custom 24K gold leaf badging finished by hand. THE ULTIMATE RIDING EXPERIENCE: The Roadmaster Elite is expertly engineered for those who demand to ride in unrivaled comfort and luxury. COMFORT IN ANY CONDITION: Genuine leather 2-up touring saddle, heated seat and handgrips, leather passenger armrests, and spacious floorboards for all-day comfort, no matter the conditions. 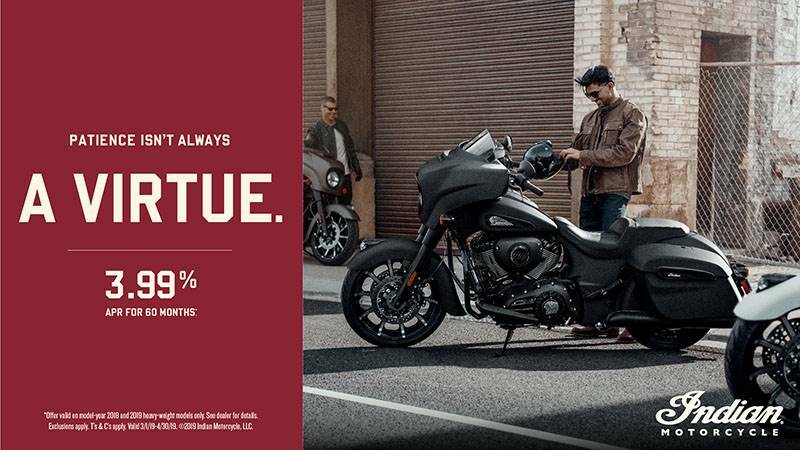 EXCEPTIONAL PASSING POWER: The Roadmaster Elite's award-winning Thunder Stroke® 111 V-Twin Engine delivers a remarkably smooth 119 ft-lbs of torque. STAY CONNECTED: Bluetooth Connectivity lets you connect your phone or headset to the bike's display to easily play music or take a call. You can also send planned routes from the Ride Command app to your bike wirelessly. MADE FOR YOUR NEXT GREAT ADVENTURE: The Roadmaster Elite delivers iconic Indian Motorcycle style paired with all of the most premium modern touring amenities. BE PREPARED FOR ADVENTURE: Protect your cargo with 37+ gallons of weatherproof storage that's easily accessible and secure, with remote-locking saddlebags and a spacious trunk that fits two full-faced helmets. AGILE HANDLING & CONTROL: Touring optimized steering geometry and a lightweight cast aluminum frame combine to provide responsive handling and agile cornering. PREMIUM AMENITIES: End-to-end LED lighting, billet aluminum floorboards and mirrors, chrome bumpers, and a premium touring console help take this motorcycle to the next level. ADVANCED TECHNOLOGY: Easy-to-use technology lets you ride longer with more comfort. You might be on a long haul, but it won't feel that way. 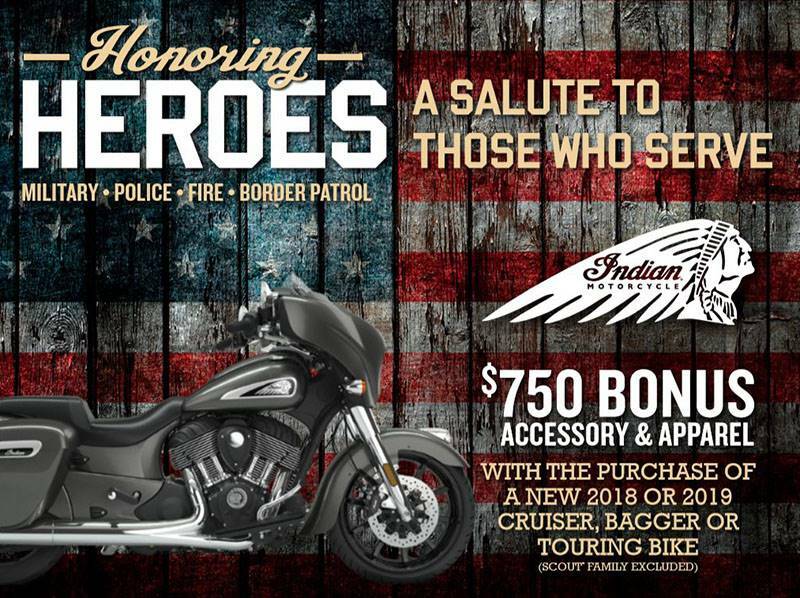 INDIAN MOTORCYCLE® RIDE COMMAND®: The largest, fastest, most customizable system on two wheels, featuring an industry-leading, glove-compatible, seven-inch touchscreen. Easily plan ride routes with up to 100 waypoints and wirelessly transfer them to the bike's navigation system through the all-new Ride Command® mobile app. ENHANCED COMFORT: Rear Cylinder Deactivation automatically shuts off the rear cylinder when stopped for more comfort in slow-moving traffic. Hit the throttle and the rear cylinder seamlessly reactivates for full power. CUSTOMIZABLE RIDING STYLE: Three all-new ride modes - Tour, Standard and Sport - let you easily tailor your bike to your riding style on-the-fly. Pathfinder LED lights (headlight, driving lights, turn signals, tail light trunk, tail light, trunk interior light, and headdress fender light.